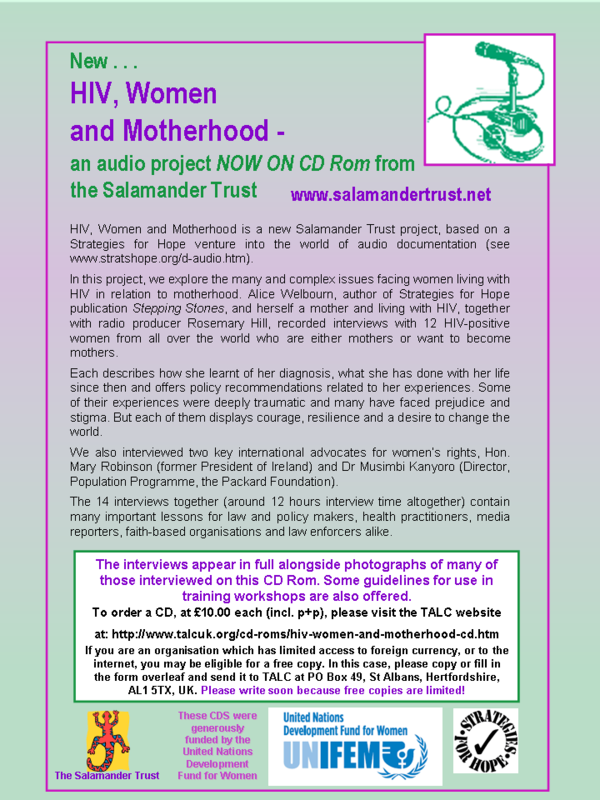 New from Salamander: the HIV, Women and Motherhood Audio Project Interviews are now also available on CD, with generous funding from UNIFEM. For more information please see the flyer below. You can view the web version of these interviews here. You can also download the flyer by clicking here. To access the TALC site (our distributor for these CDs) you can click here. The background research for development of these materials into training material is now complete and we have a proposal for the work for which we are currently seeking funding. If you would like to support our work, we would be glad to hear from you. We are delighted to announce that World YWCA has kindly granted us funds, so that these audio interviews can be used during Regional Training programmes with young YWCA members around the world. The interviews will be used during training programmes over the rest of 2009 and 2010. During 2009, we are moving into phase 2 of this project, which will be to develop training materials using these powerful interviews. 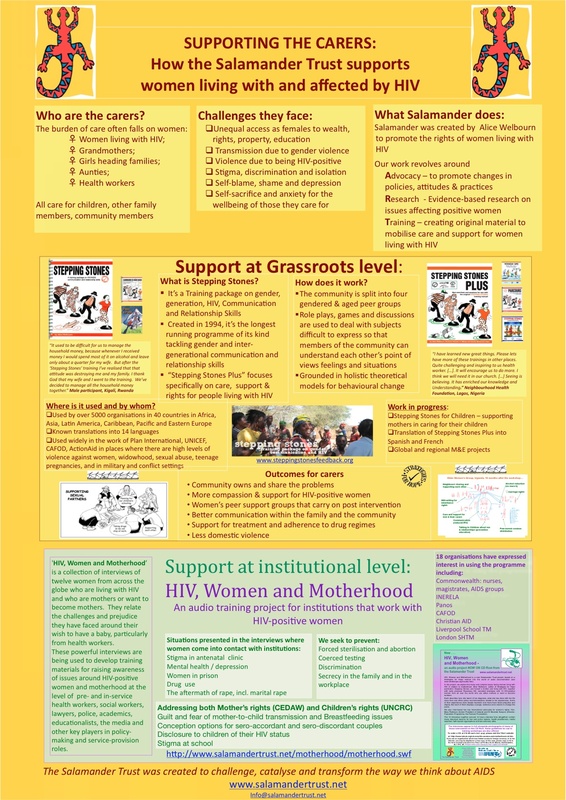 The training materials will be designed for use in pre-service and in-service training for health workers, lawyers, magistrates, judges, journalists, teachers, social workers, religious leaders and others involved in the care and support of women living with HIV and their families worldwide. If you would like to find out more about phase 2 of this project or would like to support our work, please contact us.